Finnish telecommunications giant Nokia this morning released their Q4 2018 and full year 2018 financial results. According to Reuters, Nokia beat the sales and profits estimates from analysts for the fourth quarter of 2018. Nokia’s revenue in Q4 grew 3% Year-over-Year to 6.869 billion euros. The Networks Business had a strong quarter with 7% growth in revenue and 30% growth in operating profit. Nokia also posted profit of 203 million euros for the period of Q4 2018, compared to loss of 378 million euros in Q4 2017. Nokia Networks posted growth in all of his 3 main segments: Ultra Broadband, Global Services and IP Networks and Applications. 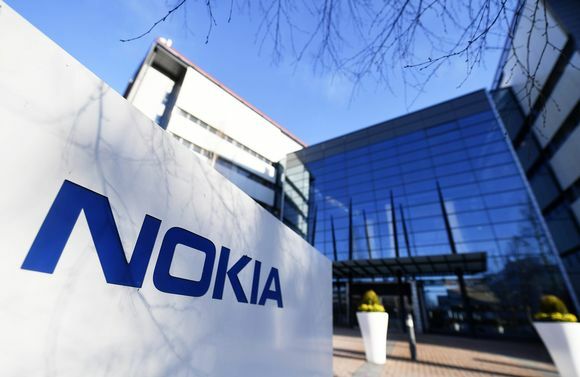 Nokia Technologies’ revenue was lower on a YoY basis, and fall from 554 million euros to 423 million euros. 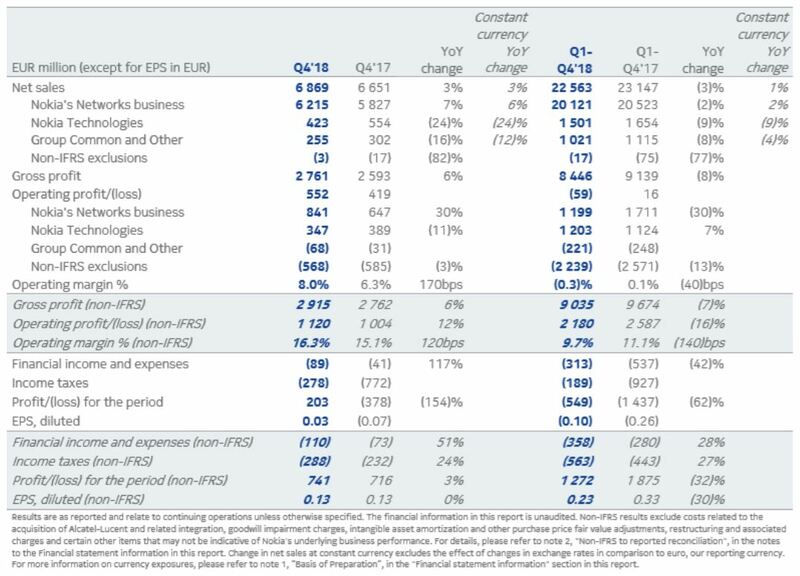 Nokia says the lower revenue was caused by less one-time payments during Q4 2018, while that was partially offset by a higher re-occuring licenses. On the basis of the whole year, Nokia posted 22.563 billion euros in revenue and a loss of 563 million euros. The revenue fell for 3% year on year, but the loss shrinked to 1.5 billion euros in 2017 to around half a billion euros in 2018, which is good that Nokia improved on that point for a billion euros, but they still need another such “growth” to get out of the red on a yearly basis. Nokia also proposed a €0.20 dividend for the shareholders, which is 5% more than in 2017.